This ca. 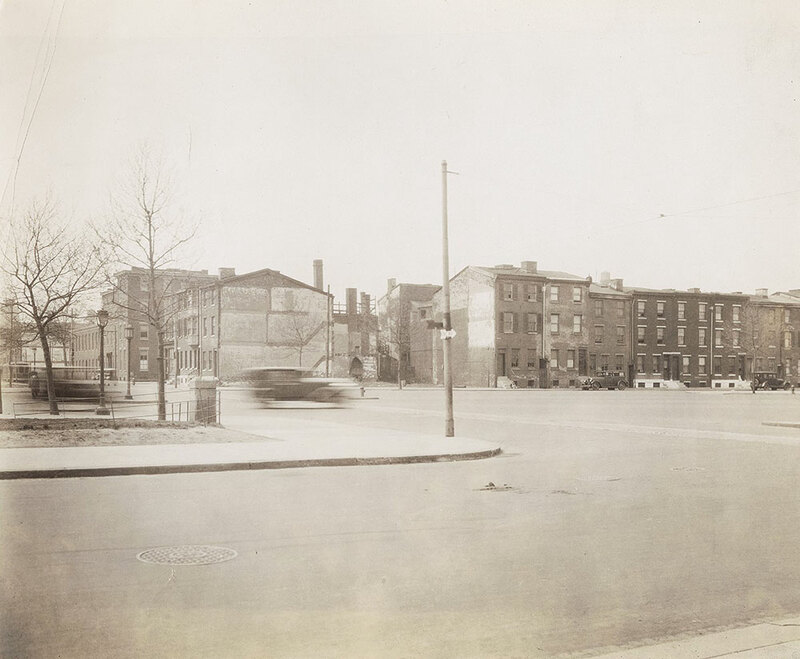 1930 photograph was taken at 20th Street & the Benjamin Franklin Parkway, facing southwest. These buildings were demolished soon after, to make way for the ambitious planned developement of the Parkway areas.